Quick and easy appetizer recipe. 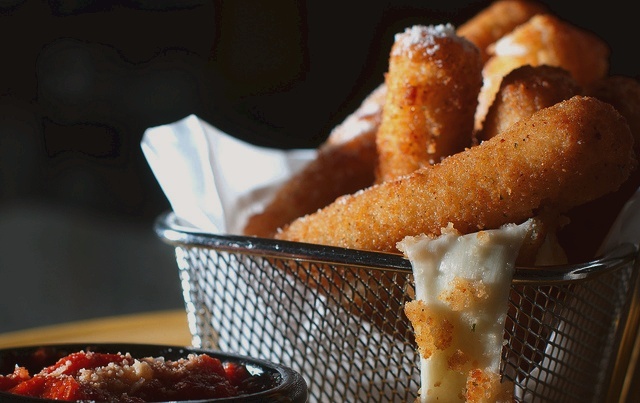 Mozzarella Sticks (top) and Mozzarella bites (right). Coated in a simple batter and quickly deep fried to golden perfection. Good to go with marinara sauce! View or print recipe here. Some tip. 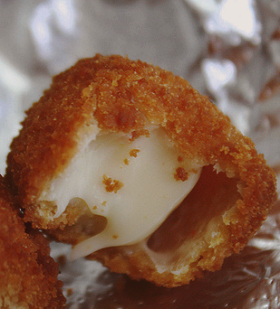 Freeze the mozzarella sticks before coating and frying so that they will not melt in the hot fat.